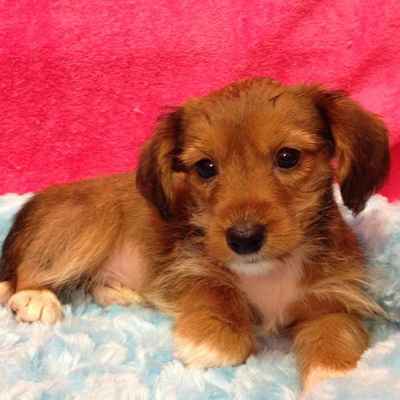 The Dorkie is a gorgeous mix of the Dachshund and the Yorkshire Terrier. It is a small hybrid breed about seven inches tall and weighs an average of eight pounds. This breed usually has long, straight, thick fur that is usually black and brown or brown and tan. They have big floppy ears, a small head, long torso, and short legs. Their tail is medium to long and usually furry. They are susceptible to skin and eye issues and need regular checkups to stay healthy, just like any breed. The Dorkie loves kids and other pets but should be supervised with small children because of their small size. 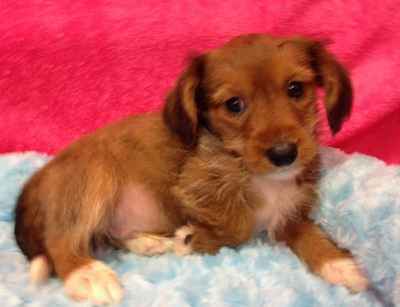 Your Dorkie is likely going to be a very laid back and gentle dog that likes to nap and can be considered a lap dog. They enjoy cuddling and being held and tolerate children and other pets well. However, it is best to supervise until you know how they will react. They can be easy to train but that depends on the dog as some can just be too lazy and laid back to care much. You have to be consistent and use positive reinforcement because the Dorkie can be sensitive. They do bark sometimes but are excellent pets for apartments due to their small size and laid back attitude.